Anyone planning to buy visitors insurance for traveling outside their home country may be considering the following two travel medical insurance plans: Liaison Travel Economy and Liaison Travel Choice. With all the similarities these two visitors insurance plans share, what is the difference between Liaison Travel Economy and Liaison Travel Choice? 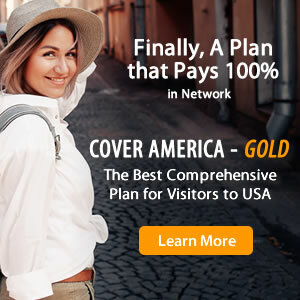 Both Liaison Travel Economy insurance and Liaison Travel Choice insurance are administered by Seven Corners and provide travel medical coverage for the USA and other foreign countries. They are comprehensive insurance plans, which provide percentage based coverage of 80% of the first $5,000 in covered expenses and 100% thereafter. For details about the differences between Liaison Travel Economy and Liaison Travel Choice, refer to the comparison chart below.